Responsibility in a lay man’s view is having a duty to deal with or having control over something or someone. It also means the state or fact of being accountable (or to blame) for something. By inference, you cannot be responsible for something you are not in control of and that is why words such as authority, control, power, leadership, management, influence are used interchangeably with responsibility. I think one of the major challenges of our generation is that we often time outsource responsibility in order to avoid accountability. Locally produced movies are also quite unhelpful with their over reliance on supernatural interference. In a lazy bid to cover up the inability to weave a logical plot, or tell a simple didactic story; we do what Yoruba people call (jomo to the answer) and quickly posit that the villain is so because of some uncontrollable stimulus that have taken over his reasoning. Spouses who cheat were bewitched by the strange man or woman. This juju/jazz angle provides a haven for the writer/storyteller to avoid a simple exploration of character flaws and human failings. At the end of the day, there is eventually no villain because all actions were not committed consciously. But in real life, men & women stray without spiritual or extraterrestrial manipulation. God in his wisdom also ensured that we have the power of choice. I believe the spirit world only helps the weak mind make faster decision that will help in destroying them. There is always a seed for the supernatural to cultivate. Simple lessons such as a spouse losing the partner because of carelessness or difference in values are ignored. We grandstand and undermine the basic interplay of cause and effect. As a man of faith, if you stay around your weakness; you will compromise your faith. Envy happens, jealousy is real, pride and covetousness are human vices that should be guarded against. Even the bible says so (Galatians 5:19-21 – “Now the works of the flesh are evident: sexual immorality, impurity, sensuality, idolatry, sorcery, enmity, strife, jealousy, fits of anger, rivalries, dissensions, divisions, envy, drunkenness, orgies, and things like these. I warn you, as I warned you before, that those who do such things will not inherit the kingdom of God). Because these are possible slips, they require no mystical influence, please do the work. Some parents blame children’s’ waywardness on enemies from the village, absolving the child (or themselves) of accountability and further promoting irresponsibility. Even the way we speak show that we do not like to be accountable. We pass exams but are failed by lecturers. Haba! I have seen mothers make excuses for children who have poor outing in examinations. That lecturer was quite mean (mother dearest! ), but someone had a first class with the same lecturer? A man or woman who has been selfish their entire life gets married and all of a sudden the spouse is the cause of bad behavior. Seriously? Did the spouse do a character surgery on your relative? Or are you admitting that your relative was fickle from the onset and could be manipulated at will? Face the issues; character and values are not suspended so easily I promise you. Address the problem. The same mindset applies where you go and fight the strange woman with whom your husband is having an affair. Hello? Who made a vow with you? Did she exchange a ring with you? Face your man, yes! the man and the man alone, his influences are immaterial. Deal him clinically. What are your influences? Anyone who lives on Telemundo will have issues grappling with the real world. Ask me, it took long to realize that the lean six-pack blue eyed men described in Mìlls and Boons are not in every street corner. As a matter of fact, Rob Lowe was the first blue eyed man I saw and I had almost given up on a childhood delusion by then. The same way some home videos resolve life challenges by making the female character find (and marry) a rich man. That man becomes a god, he alone sends the siblings abroad, opens a big shop for the mum, establishes the father and catapults the ‘bride’ into a life of opulence. They play down self-development and personal achievement for the other characters, his stupendous wealth solves all problems. Please teach your daughters to study and work hard. The Cinderella/Pretty woman angle is getting blurrier by the day. We should teach ourselves and our children to take responsibility. For our attitude, choices, actions and the consequences thereof. Make the world a better place through accountability. When Silence is Not a Virtue – Where is Mr. President? If I were the Nigerian president, I would spend one hour every month communicating with the Nigerian people. I would speak about our current situation, challenges, our interventions and what lies ahead. I would also mention areas where we are doing well. Each time, I would have one key official of my government with me to speak in detail about the more critical issues faced by Nigerians. Once ministers are appointed, I would have one join me every month. This would eventually reduce to quarterly once we are up to speed and the new cabinet settles down. Through my administration, I would speak with Nigerians at least once a quarter. Also, I would make it a habit not to speak of domestic issues and new directions in policy or governance in any foreign country before I have spoken of it at home. In times of crises and great national urgency, leaders are often the rallying point for unity, patriotism and renewal of belief in a joint vision. The leader must not only constantly articulate this vision, he must communicate with effect to rally the troops and get everyone in line towards the common goal. Considering the dire security situation in the North East, the country-wide economic slow down, confusing monetary policy initiatives, etc., we expect Mr. President to be more communicative. This is not the time to be taciturn. There is hardly a great leader who led their country out of crises, wars and economic downturns that could be called a “silent achiever”. FOURTEEN years ago yesterday, Obafemi Awolowo passed on to higher service. Two months and three days earlier, at his seventy eighth birthday anniversary celebration, he had spoken prophetically about the imminence of his transition, about the fact that he had not been allowed to achieve his highest ambition of serving the people of Nigeria, about how he was satisfied that he was going for a greater and higher service, and of a life after life. Only few of his listeners at Ikenne on that March 6, 1987 comprehended fully what he was talking about. That was why all of us, friends and foes alike, were stunned and devastated when he moved on from this mortal plane. The greatest Nigerian ideologue so far, and the main issue in Nigerian politics during the previous fifty years, as General Ibrahim Babangida had described him earlier, left us. Since the beginning of this year when, for over three months, my foes and friends, for good and bad reasons, made me the centre of political controversy in Nigeria, I have had, in my efforts at self-criticism and objective self-critical appraisal, to turn to the mental spiritual and political guidelines which Awo bequeathed to all of us who confess that we are his disciples. For obvious reasons, I will not write about the mental and spiritual lessons he taught me. But I drew upon the guidelines of mental magnitude that he prescribed, and I read, once again, his seminal writings in which one can find his clear thoughts and analysis on the problems of Nigeria. I have once again read, marked and inwardly digested, his main writings: (1) Path to Nigerian Freedom (ii) Thoughts on the Nigerian Constitution; (iii) The People’s Republic and (iv) Strategy and Tactics of the People’s Republic. In the last few weeks, our country has been agog with the news of political activities of persons and groups who seem to want to be of relevance or who are groping for ways to bring about some sort of realignment of forces. The scenario is unfolding and Nigeria’s political temporary contraptions called political parties and the desire of political theoreticians, who have no real winnable constituencies, to configure for us Nigeria’s political landscape. It is for these and other reasons that it is desirable, at the end of the second seven-year cycle and the beginning of the third seven-year cycle, that we should once again remind ourselves about Awo’s thoughts on a few important issues like (a) the national question; (b) federalism; (c) the unity of Nigeria and (d) constitution making. I doubt whether anybody in Nigeria has written cogently on the national question more than Obafemi Awolowo. He posited and demonstrated lucidly how the proper resolution of the national question is fundamental to a viable and prosperous Nigerian polity. Because of the various and different histories and cultures of our various nationalities, and the various and different stages of our modern and social and political development, he recommended a federation of Nigeria of not more than eighteen states based largely on ethnic affiliation and language. I am glad I have never deviated from Awo’s principled position. And from what we are seeing of and in the six Yoruba States, in the five Igbo States and the six Hausa States, and from the nationalism that imbues organizations like AFENIFERE, OHANAEZE and the militant youth organizations among the Yoruba, Igbo, Hausa and Izon, objective observers can see the futility of breaking up of our nationalities into miniscule states which have been emasculated in power, prosperity and progress. One thing I know: the day is almost here in Yorubaland when the Alajobi will be the Garibaldi that will write Yorubaland once again, and we will flourish once again, like we did under Awo. Because I have no mandate of the Igbo, Izon and the Hausa, for example, I cannot speak authoritatively as I can for Yorubaland. But the signs are Unmistakable. Thirty years after the Biafran civil war, the Igbos are realizing that creating five states out of Igboland does not empower them to move forward or even to take needed meaningful steps to heal the scars of the civil war. As for the Hausa-Fulani, Sharianisation as a potent political weapon of ethnic nationalism is being fashioned and sharpened. This leads me to the postulations of Awo concerning federalism. For Awo, the Nigerian federation is to be a federal republic of states (large and small) who have come together on certain basic agreed terms reached and sealed in a constitution that would guarantee every state the rights and resources to manage its affairs in those areas assigned to it, and which would enable the state to make MAN the centre, the subject and object, and the raison d’etre of all development, whether at federal, state or local government level. I have read almost everything Awo wrote, and for more than 25 years, I was directly under his tutelage. Not once and nowhere did Awo advocate the break-up of Nigeria, or that Yorubaland should break away from Nigeria. His first book designed the path of the freedom of Nigeria, not Yorubaland only; his People’s Republic was about the Federal Republic of Nigeria; his thoughts on the constitution was for the Federal Republic of Nigeria; and when he called us of the Committee of Friends to sit with him in Park Lane, Apapa, to work out strategy and tactics, they were to be how to capture power not in Yorubaland alone, but throughout the Federal Republic of Nigeria, so that the best welfare of the people could be more easily and more comprehensively catered for. Awo, of course, wanted Yorubaland to be strong and prosperous, but not for any selfish end. The prosperity and well-being of the Yoruba nation was to be a benchmark for the Federal Republic of Nigeria. As Awo used to say, he could not be a good Nigerian, if he was not a good Yorubaman! One can recall Awo’s rebuke of my friend, brother and colleague, Chief Bisi Onabanjo, when in 1983, following the NPN rigging of elections, he called for a confederation. He gave him political spanking and that publicity. I am aware of course, that not only has Awo been vilified by Zik and other unitarists as a tribalist and apostle of balkanisation of Nigeria, quite a few Yoruba concerned nationalists have also queried why Awo did not lead Yorubaland out of Nigeria during the Civil War. Chief Emeka Ojukwu’s grouse, and that of some of his misguided cronies, was that they were encouraged in their secessionist bid by the motion which was passed by Yoruba leaders in the Western Hall, Ibadan, about April 1967. “If by any act of omission or commission the Eastern Region secedes, Western Region will opt out” (of the Federation of Nigeria) Only a daft person can read an invitation or encouragement to secede in that resolution. Yoruba want to be part of Nigeria, unless pushed out or not wanted. And when secession was being prepared in Eastern Region, Awo led a delegation which included Chief Jereton Mariere, that charismatic leader of the Urhobos and erstwhile governor of Midwestern Nigeria, to persuade Emeka Ojukwu not to secede, but join in working out a truly federal constitution for Nigeria. I was an unofficial adviser to the delegation from Western Nigeria to the ad-hoc Constitutional Conference convened by General Gowon in September and October 1966. Nowhere in our presentation did the West advocate secession or even confederation. These things need to be recalled so that our people must know the strategy to adopt in the present circumstance. Which leads me to the last point. What was Awo’s reaction to discussions about constitution-making. Awo was never passive, and he never advocated non-participation in any discussions, however much he knew that they would not yield the results he wanted. Fortunately, there are quite a few Nigerian leaders who are alive and can bear testimony to Awo’s robust and all-embracing nationalism for Yorubaland, and unalloyed patriotism for Nigeria, all his life: Chief Anthony Enahoro, Chief Rotimi Williams, SAN, Chief Chris Ogunbanjo, Hon. Effiong Ononopkono, Chief Felix Ibru, Chief J.A.O. Odebiyi, Gen. Yakubu Gowon, and Alhaji Maitama Sule for example, not to talk of Senator Abraham Adesanya, and three people who have known him longer than most of us. Mr. Justice Adewole Thompson, Ven. E.O. Alayande and Awo’s jewel of inestimable value, our beloved Mama, Chief (Mrs) H.I.D Awolowo. I wish great leaders like Chief Wenike Briggs, Senator J. S. Tarka, and Ken Saro-Wiwa, to mention a few, were alive to add their voices. And so, on this fourteenth anniversary of Awo’s transition, we who are his devotees must learn and study him anew, in order not to lose focus and chase shadows and false doctrines which cannot stand the test of political rigours and constitutional engineering. I thank my creator for this genius of a man whose political principles cannot fail and by which I immovably stand. I wrote this on August 22, in response to the outrage expressed by citizens of Kogi and other well meaning Nigerians, on the uninspiring choices presented by the leading political parties in the Kogi gubernatorial election. Well the worst happened and its now a fight between Audu and Wada. What you see in Kogi today is an aggregation of the opinion and wishes of the people. It is a problem that extends beyond Kogi. It’s a Nigerian problem. When you chose not to participate, you have said yes to anything that comes from those who do. When you chose not to join the political process to the simple extent of knowing your ward delegate and making your desires expressly known to them while informing them and of possible political and other legal repercussions in a corporate manner, then you give the delegate rent to sell your vote for N30k only. 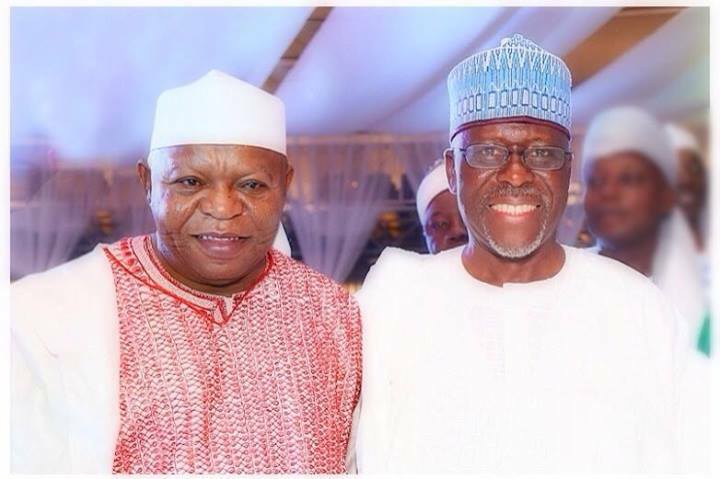 As past and present governors, Wada and Audu emerged from relatively free and fair elections. If the PDP allows delegate elections through primaries, per their democratic process, Wada will win another landslide and carry the ticket against Audu, the APC’s democratically nominated flag bearer. How do you prevent this from happening in the future? Join a political party and get involved in your constituency. Know your councillors, ward reps and local government chairman. Let them know you know where they live and where they do business. Do not be a threat. Just let them know they’re not invisible beings but one of you. Create a medium (online and offline) for constantly engaging with like minds who all have party cards from your constituency. Raise some amongst you and promote them to have influence. Support their political aspirations. Work for them like you did for the leaders of the “change movement” in these last elections. I see some of my friends here are already doing this. Kudos to you all. If we remain advocates without street presence where it matters, the Wadas, Audus and Burujis will continue to represent us. That said, it will be very unfortunate if the front runners in the Kogi race end up being Wada and Audu. I hope the permutation, somehow, changes for the sake of the people of Kogi. I know someone who posts religious verses and quotes on his Facebook wall very frequently. He professes his religious beliefs at every opportunity he gets. We are both Christians and attend the same Church. He is one step from becoming a full manager in a multinational company with strong diversity values and 60,000 employees in 180 locations all over the world. He was recently posted, on a tenured company assignment, to the US and now temporarily lives there with his family. A few months ago, he put up a post on how wrong and abominable it was for the church of satan to erect a statue of a symbol of their worship on the grounds of one of their temples in a US city. He blamed the US president for the increasing heretic leanings of the nation. He then asked for believers to join him in, not only publicly condemning the city of Detroit for allowing this statue to be erected, but to consider employing any means necessary to prevent this recurrence in other US cities. He said some other things I would not mention here. 1. Is that religious association a duly registered and legal entity in the US? 2. If the first question is true, do they have the same rights as other religions to worship and to promote their beliefs? 3. Did they get the municipal permissions to erect that statue? 4. Why are you so concerned what they believe in and how they choose to lawfully propagate it? 5. Is this in any way preventing you from practising your own religion? 6. Is the US a secular country? 7. How different is your intolerance and method of propagation than what ISIS and Boko Haram are doing in their quest for religious insularity? He came to my inbox and warned me against criticizing him on his wall or trying to score cheap points, etc. I obeyed him and deleted my comment. You need to question that thing that drives you to want to “unduly” defend God or your religious beliefs. It is not your role. It provides a fertile ground for extremism to be planted. And that can be sparked by anything into germination. Live and let live. Coexist. Love your neighbour regardless of their beliefs. This world is big enough for all. Say no to religious extremism. And I do not refer to those who genuinely and respectfully provide clarity to those who ignorantly judge their religion or those who preach with the intent of winning converts through acceptable means. My friend? No, he’s not seeing this either…his choice. In my line of work, I have reported to people and had people report to me in the organizational hierarchy. I have also been seen to shirk my responsibility or be negligent in my duties, by my superiors, client group or major stakeholder, because someone reporting to me did not do their job well. What did I do? I took the fall and went back to review where the internal process failed us. That is what leaders do. A cross they must carry for system failure. I am sure this is no new concept to most. I did not throw the “responsible” employee under the bus to be crushed by my boss or client groups. In their eyes, it was I who failed. If it was system failure, we would fix it, working with the affected employees and relevant resources. If it was down to human error, simple negligence or wilful sabotage, we would handle that too…internally. All systems have laid down rules for treating such things. Definitely, the civil service does. 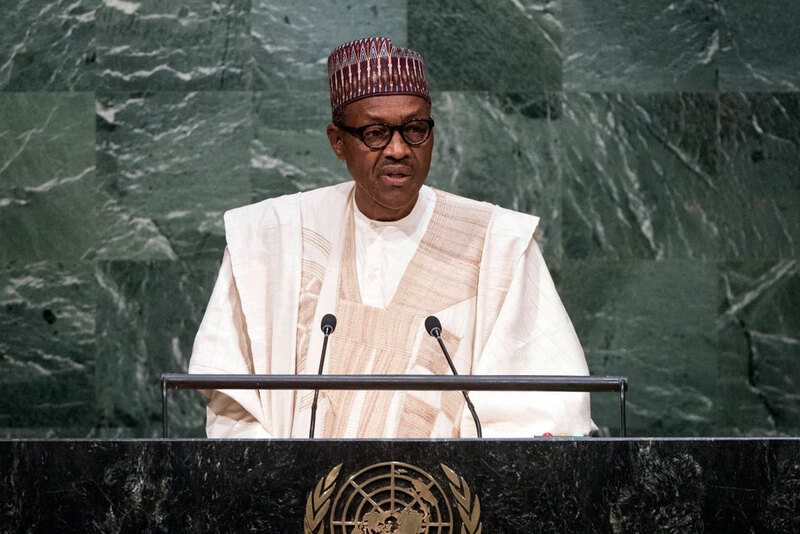 It was very unprofessional for President Buhari’s handlers to have (even tacitly) exposed a civil servant to the public as the one responsible for mishandling the president’s itinerary leading to him missing important meetings at the UN. This subjected the lady in question to the kind of public stigmatization that should only be reserved for political leaders. Die-hards are already calling for her head for embarrassing the infallible one. If you are interested in building strong institutions, this is exactly how not to do so. Once again, the president’s media handlers are showing that they have opportunities for improvement. Also, this is another example of why a political leader needs others directly working for/with him and charged with the supervision of civil servants and other bureaucratic structures. Call them special assistants, ministers or noise makers. Just appoint them and free yourself. You are not superman.